James Beard Award–nominated chef Jose Salazar infuses his cooking with inspiration from around the world. Jose Salazar, the man behind Salazar, Mita’s, and the forthcoming Goose & Elder (set to open this summer) continues to make his mark on the Midwest. 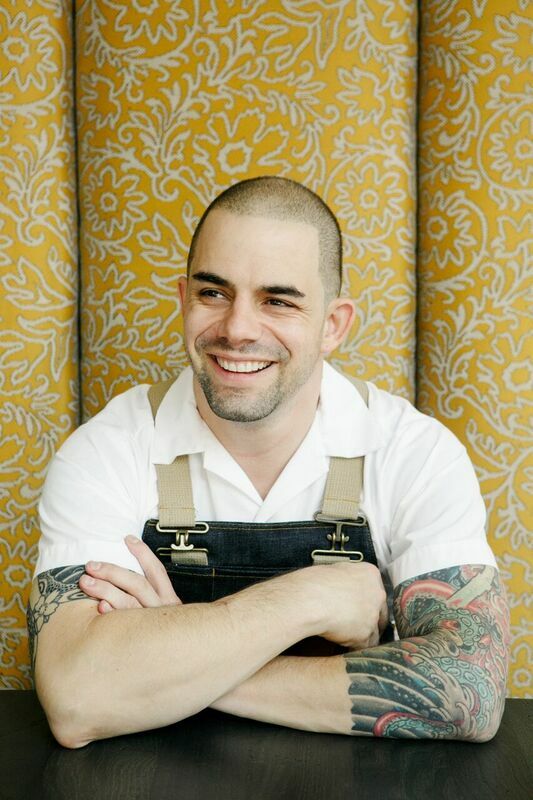 Out of 20,000 online entries, he was the only Cincinnati chef named a James Beard Award semifinalist in 2019, his fourth year in a row being nominated. Born in Colombia and raised in Queens, New York, Salazar began his culinary career after graduating from the New York Restaurant School in 2001. After a seven-year stint working at restaurants in Queens, Salazar journeyed to Cincinnati upon landing a job offer with The Palace at The Cincinnatian Hotel. After receiving a 2011 People’s Choice Award for Best New Chef from Food & Wine magazine, Salazar was encouraged to start something of his own. Now his restaurants are widely sought out in Cincinnati’s upscale dining scene. Salazar is known for melding flavors from various countries and cultures, from chorizo-stuffed, heritage-breed pork chops to fried calamari tacos. 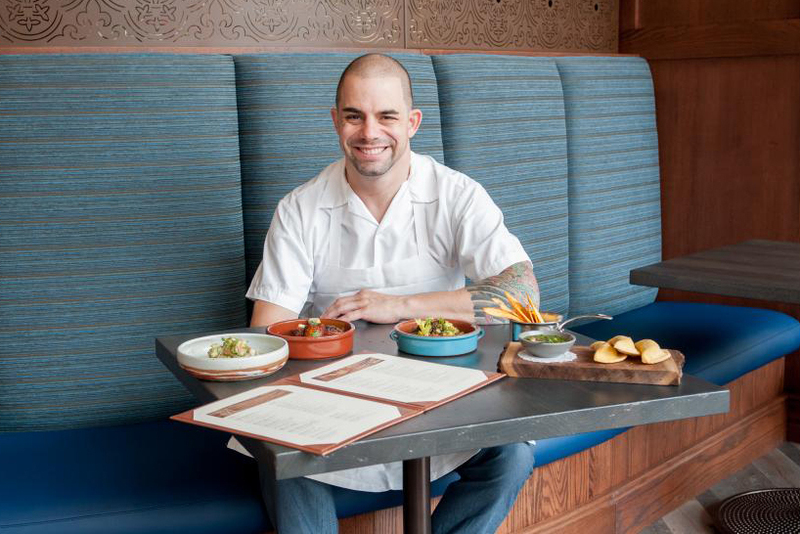 Salazar will prepare a custom five-course meal with local chef (and recent Top Chef contestant) Cailtin Steininger on the Tuesday evening of this spring’s Savor Cincinnati dinner series. He will also share his Colombian-style empanadas, made with Laura’s Lean Beef, during that evening’s Savor cocktail hour, which you can recreate at home using the recipe below. What foods from your upbringing in Colombia and Queens, New York, were most influential on your cooking? In Colombia, the food was rustic and hearty. Starch is typical in the region of Colombia where I’m from. I remember my grandmother doing most of the cooking. She made every meal from scratch and it was all fresh. Everyone gathered around and ate as a family. In Queens, my mom was a single parent. She did cook, but she’ll admit that she wasn’t the greatest at it. It was more about sustenance. It was palatable. But you know, she tried her best to put a decent meal on the table. My mom had a lot of Argentinian friends so we’d go to Argentinian restaurants a lot. There was a lot of grilled meat. As I got older, I liked to go out and eat a bunch of different foods. In New York, I was fortunate to have access to just about any cuisine you could imagine. So I would go out and try Tibetan food or Thai. Anything that was unfamiliar, I tried to get a taste of it. Did your grandmother influence your cooking? Growing up, I didn’t think I was going to become a chef. In retrospect, yes, my grandmother was probably someone who I look back to and find influence in. But I fell into cooking as an adult. I started out working in the dining room in restaurants as a job—you know, as a way to pay the bills. But I found myself more attracted to what was going on in the kitchen. So that’s kind of how I got the bug for cooking. How did you take the leap into the kitchen? It’s very beneficial to know what it’s like to work in the front of the house as a bartender or a waiter. As an owner, it’s great to have perspective on both. The leap was more, Hey, I really like what’s going on back there. I want to give it a shot. So I got a job at a restaurant and started at the bottom. Eventually, I went to culinary school and decided that’s what I wanted to do. Well, Cincinnati kind of chose me. My wife and I had our son, and he was an infant when we decided we were ready to leave New York. We wanted to stay on the East Coast, so I sent my résumé to some of the cities up and down the Eastern seaboard. We wanted to stay close to family, but I got a call from a recruiter who said there was a job opening at a hotel. He gave me all the benefits and upsides of the job. It sounded like a perfect opportunity. I had never run my own kitchen, so I was going to have the chance to showcase my food and have my own crew. At the end of the conversation, he told me it was in Cincinnati. Once we got here, we started to plant roots and our son made friends. Then, the restaurants came about. So we decided this was a great place where we could set up shop. We started getting to know the city and fell in love with it. So the city found us, but we’re happy about it. Could you describe your empanada recipe? It’s a Colombian-style empanada recipe. 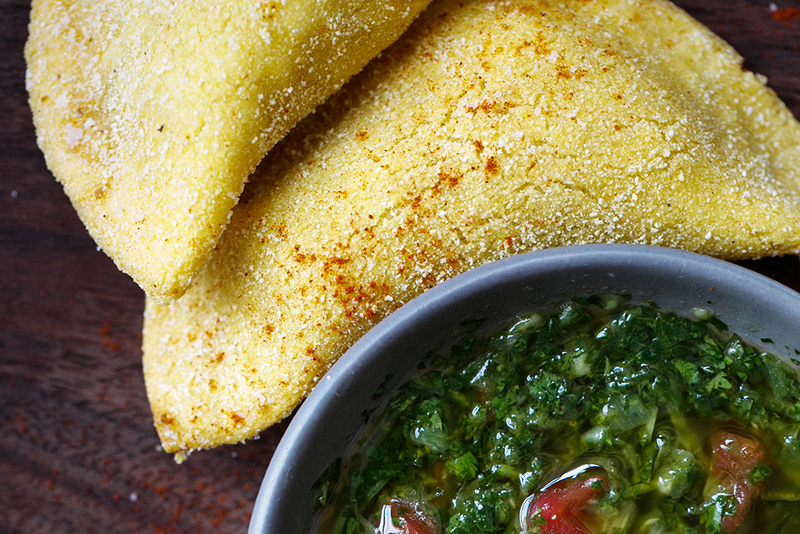 Empanadas are one of those ubiquitous foods—it’s the hamburger of Colombia. It’s something I used to eat everywhere, and beef is the most common filling that you’ll see. What do you look for when buying beef, and do you have any tips to share with home cooks working with lean beef? First and foremost, you want good quality and you want to have an idea of where it comes from. And of course it has to taste good. For lean beef, just make sure not to overcook it. Cook the Laura’s Lean Beef in a large skillet with 1 Tbsp. of canola oil on low to medium heat for 10 minutes or until fully cooked (160 degrees). Season with cumin, salt, and red wine vinegar, and then add cilantro. While the beef cooks, gently simmer potato in salted water until tender. Drain and cool. Add all ingredients to a stand mixer and paddle on low until a springy dough forms, adding more water as necessary. Portion dough into 2 oz. balls. Roll dough ball out flat, then place about 2 oz. of beef filling into the center, fold over dough, and pinch to close. Use a ring cutter to round out edges and trim excess dough. Deep fry empanadas in 350-degree oil for approximately 5 to 7 minutes until golden brown and hot in the center. Serve with a hot sauce or chutney of your choice.